Using a cellphone while driving will land motorists a hefty R1500 fine if they are caught. This as part of the Durban Metro’s #ItCanWait campaign. Transport Minister, Blade Nzimande said that 1612 people died during the 2018/2019 festive period in South Africa as a result of road fatalities. Nzimande shared this in the department’s 2018 safety report. 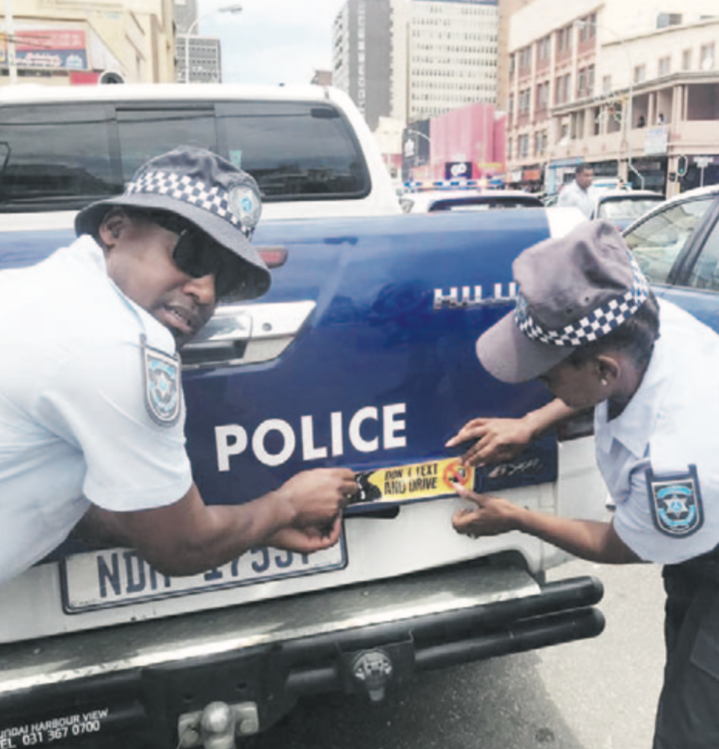 Spokesperson for the Metro Police, Senior Superintendent Parboo Sewpersad confirmed that metro will be issuing fines to offenders. Sewpersad said that Metro have been working with the United Nations Institute of Training and Research to put up sign boads to create awareness about the problem. “The problem is actually a world wide issue. We have noticed that it’s a big issue in Durban. With texting and driving, drivers take their eyes off the road and we find that the injuries sustained in accidents are much worse than those sustained in an accident caused by drinking and driving. People end up in wheelchairs,” said Sewpersad.